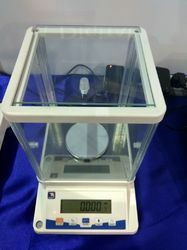 Offering you a complete choice of products which include lab scale. *With RS-232 serial interface for connectivity with software and printer. Looking for Lab Balance ?